At HCR, we are true STAKEHOLDERS with strong and deep roots in our local community. Our corporate mission involves providing the best quality materials and services to our customers, but we haven’t forgotten that not everyone is in the position to purchase a new roof, despite a significant need. We believe that everyone deserves the comfort of security in their home, and we aim to serve our communities for decades to come through lasting and meaning giving. Wounded Warrior Project® (WWP) provides free programs and services to address the needs of wounded warriors and fill gaps in government care. Proceeds from each HCR sale are donate to WWP. Any customer contributions at the time of contract signing are MATCHED by HCR. Learn more about Homefix supports the Wounded Warrior Project. Aiming to dramatically reduce the number of veteran suicides each year. Supporting Platoon 22 at various events with support, and staffing, and contributions. 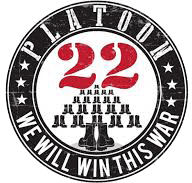 Learn more about how Homefix supports Platoon 22. Habitat for Humanity partners with people in communities across the U.S. and all over the world to help them build or improve a place they can call home. Habitat homeowners help build their own homes alongside volunteers and pay an affordable mortgage. Learn more about how Homefix supports Habitat for Humanity. 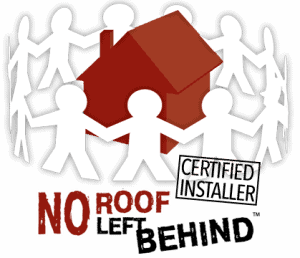 Helping communities rally behind a family in need to provide a free roof to a worthy neighbor. HCR Proudly installed our first roof with this program in February 2017. Learn more about how Homefix supports No Roof Left Behind. On a mission to improve the lives of children with Autism, grants are awarded to families affected to pay for needed services. Through participation in events, like the Annual Charity Football Bash as well as financial contributions, HCR is proud to be a supporter of this foundation. Learn more about Homefix supports the Bowen Foundation for Autism. Dedicated to preventing homelessness and stabilizing families in Baltimore County. HCR contributes materials and support for Neighbor to Neighbor projects.